Gift certificates are an AWESOME present for your loved ones. Got a mother who has been wanting to get the extended family together for years? Have a cousin who has a new baby? Is your best friend in need of a self-esteem boost? There's a photo shoot for everything and those photos last forever! Purchase below & I will e-mail you a gift certificate so you can print & customize at your leisure! This gift certificate is for one 30-minute session that can take place anywhere in Portland, Maine! Justine Johnson is happy to talk with the user of the certificate to decide on a specific location based on their desires. This certificate can be used for a family session, baby session, maternity session, couples/anniversary/engagement session, head shots, senior session, or a pet session! 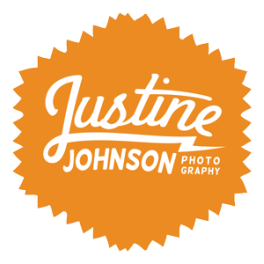 This certificate is for a portrait session up to 90 minutes long that can take place anywhere within 2 hours of Portland, Maine. Justine Johnson is happy to talk with the user of the certificate to decide on a specific location based on their desires. This certificate can be used for a family session, baby session, maternity session, couples/anniversary/engagement session, head shots, senior session, or a pet session!